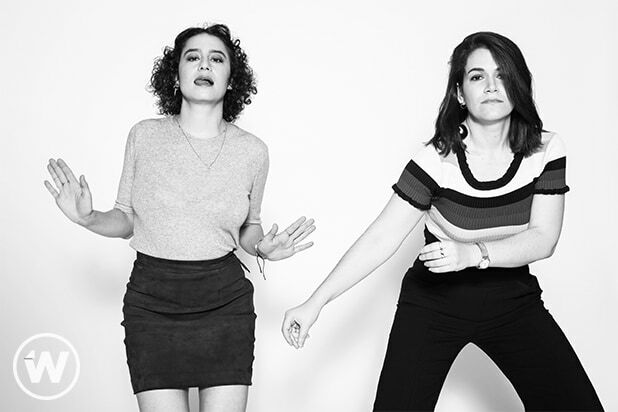 If this whole midterms thing doesn’t work out in their favor, “Broad City”s Abbi Jacobson and Ilana Glazer are have a solid backup plan: learn Russian. In a new “Hack Into Broad City” clip posted in time for Election Day, the Comedy Central series’ co-creators and stars chat over webcam, while Abbie helps her bestie practice some key phrases in the foreign language. Whoa, you really think you need that one, Ilana? Meanwhile, Abbi is showing off the new pocket knife she got for her “go-bag.” Yes, the girls have it all figured out until they get to the phrase, “So you definitely hacked the election” and realize they have definitely forgotten something important. The fifth and final season of “Broad City” will premiere on Thursday, Jan. 24, 2019 on Comedy Central.